For outdoor enthusiasts, it is absolutely important to have a rugged portable hard drive to guard your data from external impacts, because precious moments can never be re-created! 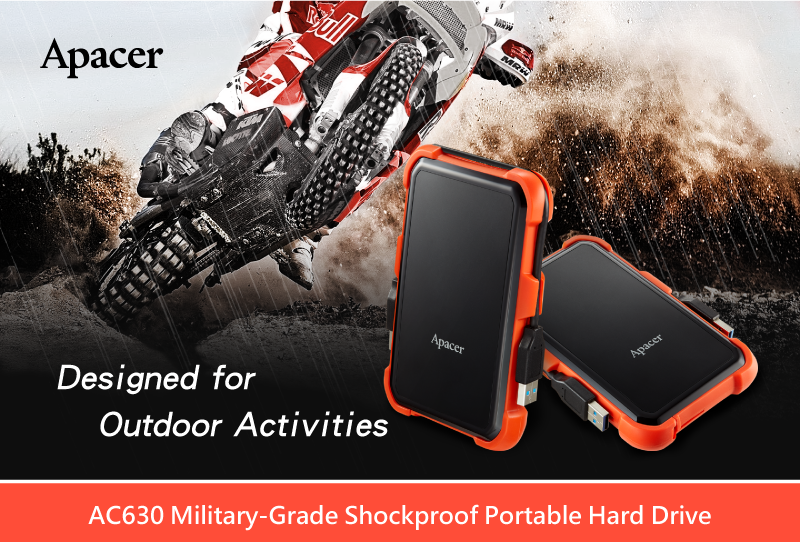 As a dedicated innovator for memory storage, Apacer introduces AC630 USB 3.1 Gen 1 military-grade shockproof portable hard drive to cope with the potential harms that may be encountered in the outdoor environment. 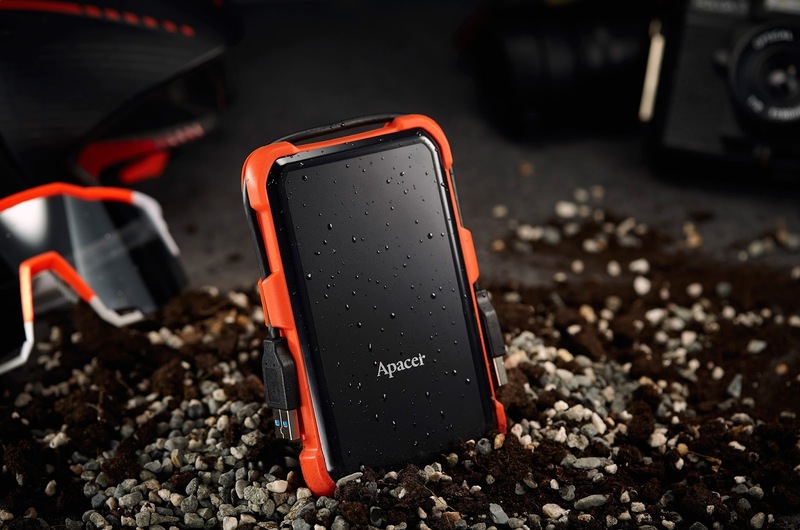 Enclosed in a specially built shockproof protective rubber frame, AC630 has passed the U.S. military-grade drop test and is IP55 certified for dustproof and waterproof functions. The unit comes in two capacities of 1TB and 2TB. What’s more, the thoughtfully designed cable slots and the bright color contrast keep AC630 neat and sharp for travelers and outdoor sport users. While popular interests in outdoor activities continue to grow, the demand to keep records or shoot videos is trending in the same direction. When accidents happen to a hard drive, such as impact, water, or sand, file corruptions can be devastating. 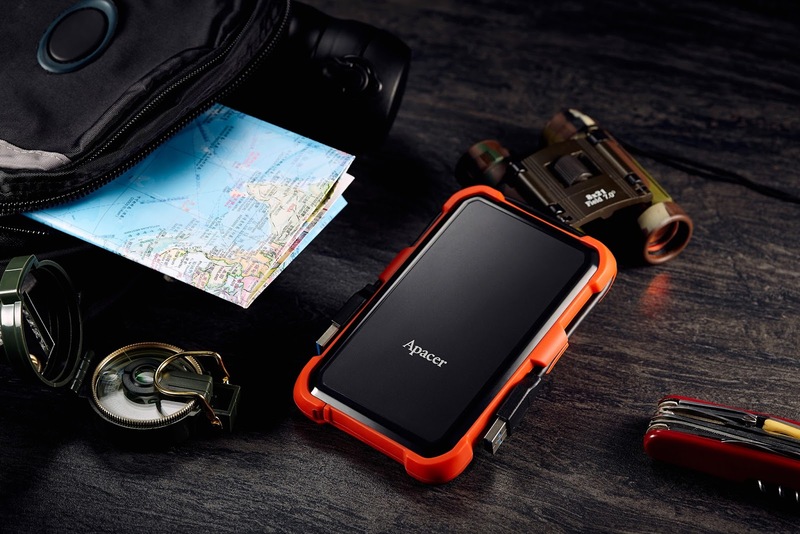 Apacer’s latest military-grade shockproof portable hard drive is just built to accommodate to tough conditions. AC630 has passed the U.S. military drop test MIL-STD-810G 516.6 Procedure IV (transit drop test), which means it is resistant to falls of 1.22-meter height without losing data. Certified with IP55 rating, AC630 ensures all-round protections against dust and spraying water, allowing users to enjoy their journey without worries. AC630 comes in a single-piece rubber frame which is built from the internal structure to the exterior with fortified protections in corners and two sides. The structure functions as a cushion to disintegrate direct impact forces caused by clashes and keep the memory stable at all times, effectively reducing influences on data access during movement. The sporty appearance of AC630 is adorned with vivid colors. A protective strip that surrounds the four sides in fiery orange against the graphite black covers achieves a vibrant color contrast. The thoughtful slot design is especially equipped for easy cable storage, keeping the cable neatly stowed when it is not in use. Moreover, the USB 3.1 Gen 1 interface provides fast data transmission, making data backup a rapid process when you are on the go. AC630 comes in two memory capacities: 1TB and 2TB; the latter can store up to one million images, half a million MP3 tunes, or 833 hours of Full HD videos. Whether you are a traveler or an outdoor sport enthusiast, Apacer AC630 is made for keeping records of your favorite activities!